Page speed impacts your SEO. Test your pages with Google's Page Speed Insights and discover how to maximize your speed. In digital marketing, speed is key. 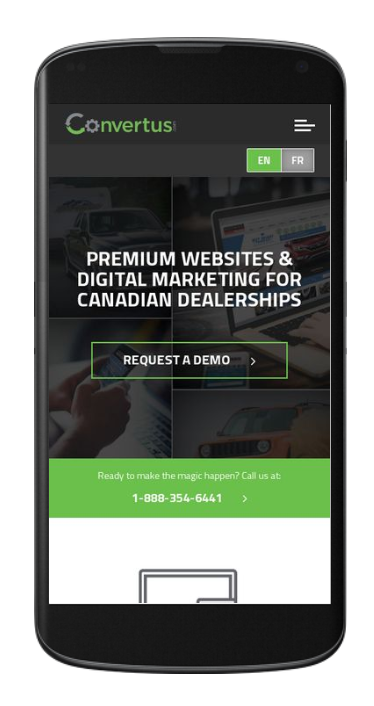 If your dealership wants to boast a fully-optimized website for both search engine and conversion rates, then speed is going to play a critical role. Page speed is exactly what it sounds like: the speed at which your web pages load. There are a number of factors that contribute to the speed of a web page, which we’ll explain later. If you’re not the fastest, then you’re average. And being average has some serious implications for your website. If your website is slow, you’re likely losing out on leads (which means you’re also losing sales). A slow website can also be an SEO-killer. A fast page speed is imperative for your SEO, and can heavily impact a user’s first impression of your business. Page speed is also a ranking factor in Google’s algorithm, which means that Google rewards faster websites with improved SEO. The faster the page, the better the chance of your website showing up higher on the search engine results page. Delivering a faster experience for your users has other benefits, as well. Fast page speed leads to higher conversion rates, increased traffic, increased time spent on pages, and in turn, more leads. So, are the pages on your dealership’s website loading fast enough? Let us break it down for you. In 2017, the average automotive website in North America took 9.5 seconds to load. Generally, a website only has two seconds to load in order to retain traffic. After that, users will likely leave the page before it loads or bounce immediately after. Over half of users will leave a page if it takes more than three seconds to load, which means that your dealership might be missing out on a ton of potential leads. Google PageSpeed Insights analyzes the content of your dealership’s website and provides comprehensive reporting for both mobile and desktop devices. The tool will tell you exactly what’s slowing your page speed down, so you can adjust your content accordingly and start retaining more traffic. Reduce Server Response Time – When a user visits your website, a request is sent to your server. Sometimes the server takes too long to process and respond to this request, resulting in a slow page speed. Avoid Landing Page Redirects – The most common case of this issue is when mobile users try to access a website designed for desktop. Mobile users are redirected to a mobile-friendly version, which requires additional rendering time. A way to avoid this is building a responsive website, meaning that your website provides an optimal viewing experience across a variety of platforms and screen sizes. Prioritize Visible Content – Often times, files and images that appear below the fold must render before any content above-the-fold. All above-the-fold content should be prioritized in order to load first. This problem can be fixed with a quick re-ordering of code, putting the most important content first. Enable Compression – If the files on your page are not able to be compressed, this will heavily impact your page speed. Enabling compression means that your HTML and CSS file sizes can be reduced, allowing your browser to load faster. Optimize Images – This means that the images on your page are huge and causing the page to slow down. Images should be compressed and optimized in order to load quickly. PhotoShop has a convenient “Save for Web” option, and there are a number of free tools to compress images. Many CMS platforms (like WordPress) will automatically compress your images, as well. Use Asynchronous Scripts – If code scripts are loading synchronously, the browser will wait until everything is fully completed. However, if scripts are asynchronous, it means that the browser is able to move on to another task before everything is fully loaded. So, if you want to improve your dealership’s SEO, increase conversion rates and capture more leads, use Google’s free tool to help your dealership turn its pages into speedy machines. We understand that it seems like a daunting task, though, which is why we’re here to help. 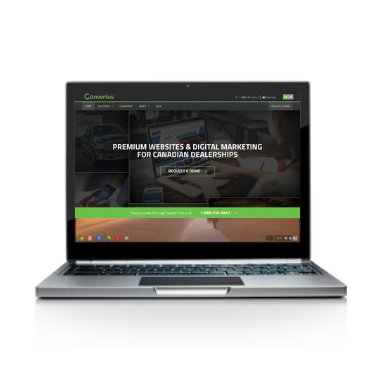 At Convertus, our talented web developers know exactly what it takes to optimize your pages for speed and score high on Google so you don’t have to.